I just put Book 3 of the Edge of the Universe series up for pre-order. While his new home is being renovated and his team transferred to Brimhill, Art is getting settled into his new billionaire lifestyle. He is actively looking into LocTech to make sure everything is okay before signing his final contract. Tony pressures him into come in a day early which he finds strange. But before he can sign it, he gets really sick. Art meets Dr. Mark Bates, who everyone thought was killed in the Blue Wolf sabotage and is told that the same sickness the clones died from may have mutated and passed on to him. He must do whatever it takes to get to the bottom of what’s really going on at LocTech and Sector Seven because he knows they aren’t being completely honest while trying to find his way through all the different groups who oppose what LocTech is doing…and ultimately stand against what Art is doing there. Rush! has been edited and is already uploaded, but we still need Beta Readers to make final suggestions. 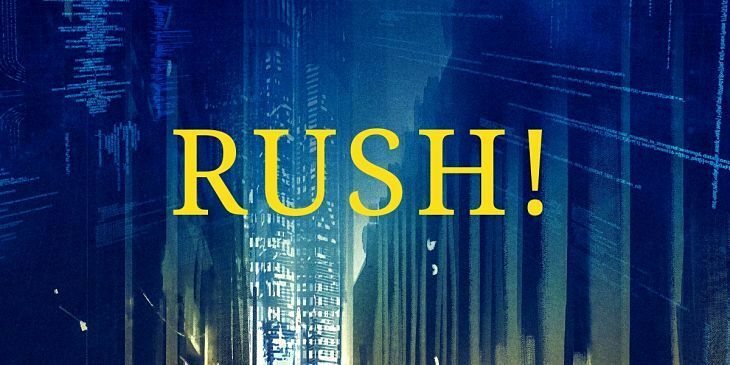 If you’re too anxious to read Rush! you can grab an Advanced Reader Copy by joining my Advanced Reader Crew. All I ask is that you point out mistakes our editing team missed and leave a review for future readers in exchange for a free copy. Feel free to leave your questions and feedback in the comments below.